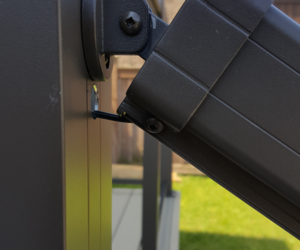 In this step installation we will be making a hole for the LED strip to pass through the post into the top rail. 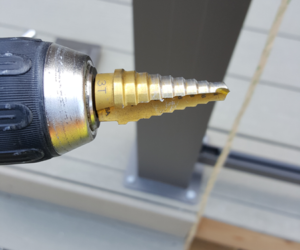 Using a drill bit, we will be making a 1/2″ hole into the post. 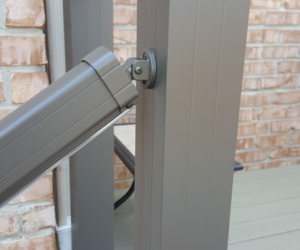 If UAB bracket is in the way, remove two screws from UAB bracket and drill 1/2″ hole in the post just below the upper round backing plate. 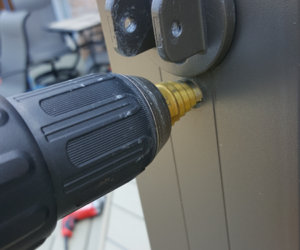 In the opposite post, drill a 1/2″ hole in the post where the LED strip will finish into. 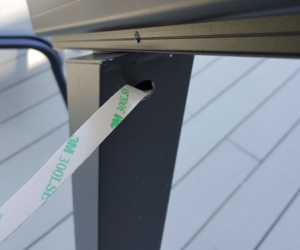 We have connected an LED patch cord (LED-PC) to the LED strip that is inside the post, feed the other end of the patch cord out the 1/2″ hole that was drilled. 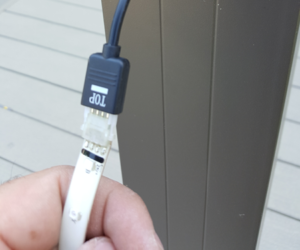 Connect the LED patch cord end to an LED strip. 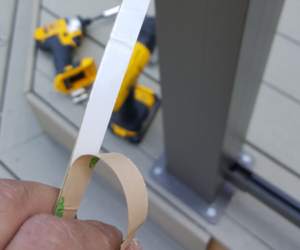 Connect more LED strips together if needed to span the length of the handrail. The excess LED strip will be tucked into last post. Peel back the protective backing from the LED strip exposing the adhesive. 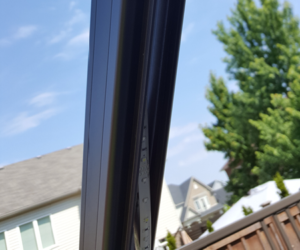 For Aluminum Pickets: Adhere the LED strips to the inside of the top rail. 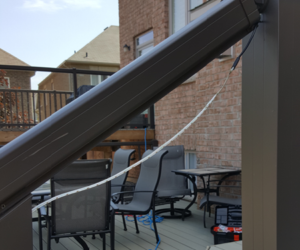 Then install the pickets into the top and bottom rails. 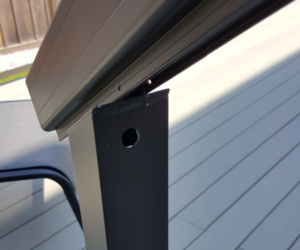 For Glass Pickets: Install the Glass Vinyl Inserts into the top rail, then install the LED strip inside them. 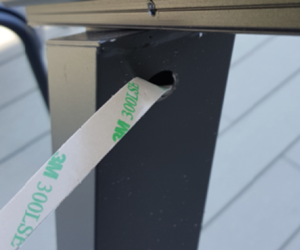 Tuck the excess LED strip through the 1/2″ hole previously drilled and down the post. DO NOT cut the excess LED strip. 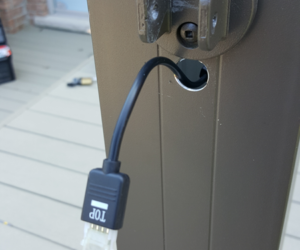 Go back to the other side of the stair rail and tuck any excess patch cord (LED-PC) cable into the post. 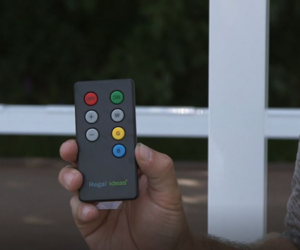 Use your remote to turn on the system and switch between the 3 color and brightness settings. 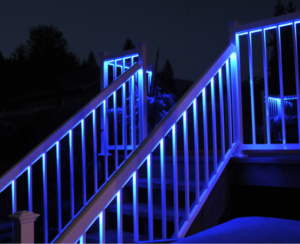 Light up your stairs at night to provide safety and comfort to your perfect outdoor living space.